NativeAmericansInAcademia.com is committed to helping native american professionals faculty, staff, administrators, and high-level executives succeed in finding jobs and careers in higher education. 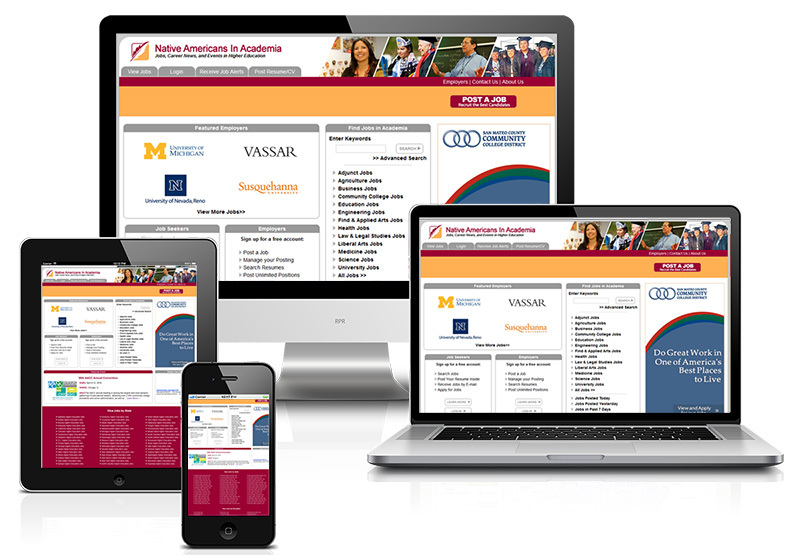 Our industry-leading website is where colleges and universities advertise job openings first when recruiting LGBT presidents, vice-presidents, professors, administrators, and staff to work on their campuses. Visited every month by thousands of higher education professionals, NativeAmericansInAcademia.com is where the recruitment of native american professionals in academia begins.